The living room is one of the most used rooms in the house. 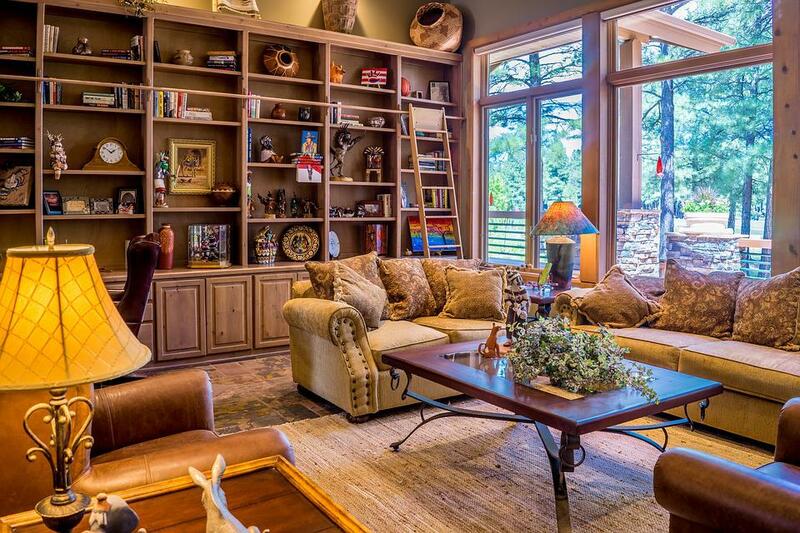 This is where you go to watch TV, spend time as a family, and read. Making sure the space is safe and inviting for a family member with a visual impairment can mean making some changes to the living room you are used to. Explore these updates and modifications to make the living room safe for the entire family. The living room furniture can be arranged in an almost countless number of ways, but this does not mean each way is going to be practical for someone with limited vision. Someone with visual impairments needs wide walkways that are free from obstacles. They also need items like the TV to be placed with special care for glare that may trigger sensitivities for them. When arranging furniture, it is important that the placement is predictable, visible and touchable. Those with limited vision will often use their outreached hand to feel their way, so furniture should not be an unexpected shape, and nothing in their path should be breakable in case it is touched. While coffee tables may seem like needed pieces of furniture, they actually get very little use in many homes. Coffee tables can become hazardous for those with a visual impairment, because they may not be expecting furniture to be so low to the ground, and coffee tables are below a level that they may naturally extend their hands to feel for furniture. It is usually best to avoid low furniture to keep people with limited vision from tripping. Many people with limited vision can see the contrast between colors and light and dark shades. This means they often depend on the difference between colors to locate items and find outlines of things like furniture. Having furniture that is dark-colored if you have light-colored floors will help to make the furniture noticeable for someone with a visual impairment. If it is not possible to purchase new furniture for higher contrast, the same effect can be made with a bright throw blanket or pillows. Stepping over a cord or cable may not be an issue if you are able to see them, but they can be a fall risk for someone who cannot anticipate the need to avoid them. It is best to re-route exposed cords to keep them out of walkways. Depending on the type of flooring in the living room, many people add decorative runners or rugs for accent. A small, unexpected rug can catch on a cane or get underfoot for someone who is not able to see them. If rugs are placed in the living room, the edges need to be secured so they do not cause a fall. The lighting needs of someone with limited vision may vary from those of the rest of the family. Being careful to install flexible neck lamps behind the couch can add light as needed in the evening. Using light bulbs with multiple settings can allow the light levels to be changed for different users. The living area is a common space that should be welcoming to the whole household. Adding a level of flexibility for things like lights while working to make the overall space safe will encourage everyone to enjoy the space and their time together.